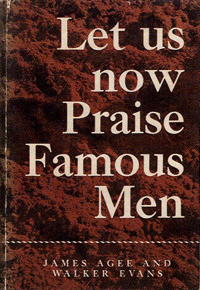 LET US NOW PRAISE FAMOUS MEN — James Agee & Walker Evans — Houghton Mifflin ($3.50). 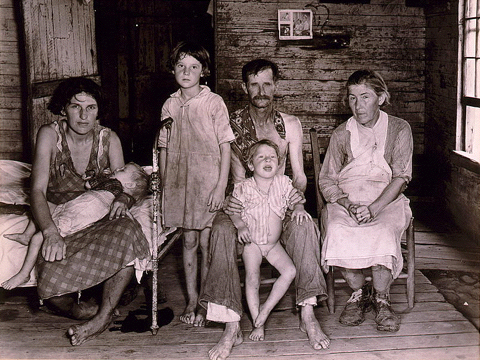 But it is also an experiment in communication: “an attempt to reproduce and analyze the actual.” Its medium: 32 photographs 1 by Walker Evans and a 471-page commentary by James Agee. 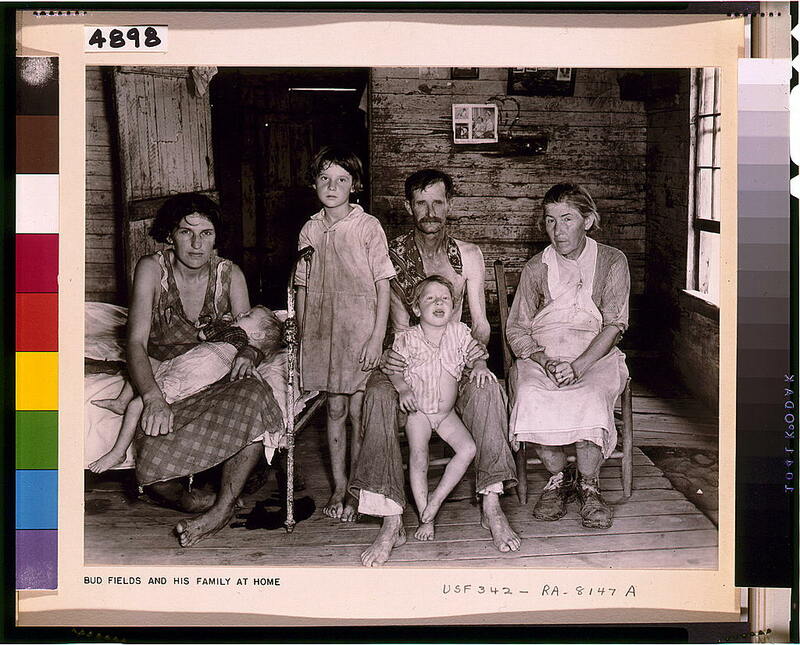 2 Subject: the life of three Alabama cotton tenant families, with whom the authors spent several weeks (as “spies”) in the summer of ’36. This obsession, more preacher’s than poet’s, drives Preacher-Poet Agee into some of the most exciting U.S. prose since Melville; into mind-wrenching gusts of irony, fury and scorn; into tedious stretches of self-indulgent introspection and childish philosophy. These are caused by Agee’s determination to be ruthlessly faithful to his own thoughts and feelings, even when they fail to make sense. His chief failure is one Photographer Evans scrupulously avoids: he clumsily intrudes between his subject and his audience, even when the subject is himself. A new suit of overalls has among its beauties those of a blueprint: and they are a map of a working man.” After a while “the edges of the thigh pockets become stretched and lie open, fluted, like the gills of a fish … The texture and the color change in union, by sweat, sun, laundering … into a region and scale of blues, subtle, delicious, and deft beyond what I have ever seen elsewhere approached … [The shirt] breaks like snow, and is stitched and patched … and stitches and patches are manifolded upon the stitches and patches, and more on these, so that at length, at the shoulders, the shirt contains virtually nothing of the original fabric and a man … wears in his work on the power of his shoulders a fabric as intricate and fragile, and as deeply in honor of the reigning sun, as the feather mantle of a Toltec prince.